This information comes from Houston Parks and Recreation Department files and is not intended to be a complete source for information on this park. We welcome you to do additional research. The end of the Civil War resulted in a dramatic reorganization of society throughout the former Confederacy, including new freedom for the slaves. President Lincoln had signed the Emancipation Proclamation and published it on January 1, 1863, but it did not reach Texas for two years. It wasn’t until General Granger proclaimed it in Galveston on June 19, 1865, that Texas got the news. The anniversary of the day took on festive traditions and a new name: it came to be known as Juneteenth. Over the next few years, African-American populations across Texas collected money to buy property dedicated to Juneteenth celebrations. In Houston, the effort was led by the Reverend Jack Yates, a Baptist minister and former slave. His church, Antioch Baptist, and Trinity Methodist Episcopal Church formed the Colored People’s Festival and Emancipation Park Association. In 1872, they pooled $1,000 to put down on ten acres of open land as home for their Juneteenth celebration. In honor of their freedom, they named it Emancipation Park. By 1918, it had been acquired by the City of Houston. Racial segregation was the law of the land, and Emancipation Park was the only municipal park African-Americans could use at that time. In 1939, Miss Annette Finnigan, a veteran of the push for women’s suffrage, donated property to the city for a second one, which became Finnigan Park. 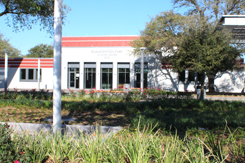 Also in 1939, the WPA undertook the construction of a community center building in Emancipation Park. Designed by William Ward Watkin, the new facility provided greater recreational and educational programs for park users. In 1976, the Association for Study of Afro-American Life and History placed a plaque dedicated to Rev. Yates in the park. On June 7, 1979, the State of Texas enacted legislation declaring Juneteenth to be a state holiday. The bill was introduced by Representative Al Edwards of Houston and was signed into law by Governor William P. Clements, Jr. The first state-sponsored Juneteenth holiday took place the following year. Since then, many other states and the District of Columbia have come to observe Juneteenth as a state holiday or observance. Juneteenth received national recognition in 1997 through Senate Joint Resolution 11 and House Joint Resolution 56. For more information on Juneteenth observations, please consult a reputable source. Over the years, many improvements have taken place in the park. In 1998, the Parks to Standards program resulted in extensive renovations. Through the early years of the Twenty-first Century, several community organizations worked to raise funds for a major renovation for Emancipation Park. 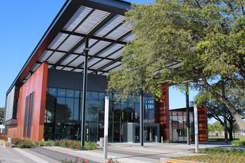 On Saturday, June 17, 2017, Houston Mayor Sylvester Turner, the OST/Almeda Redevelopment Corridors TIRZ#7, Emancipation Park Conservancy and the Houston Parks and Recreation Department rededicated Emancipation Park after an extensive renovation process. Park improvements include the construction of a new recreation center, the renovation of the existing community center and bath house, the construction of a new swimming pool, reconfigured parking options, an entry plaza, a sprayground, playground, walking trail, and picnic areas. Tennis and basketball courts and a ball field round out the park amenities. Set aside to commemorate events of the Nineteenth Century, Emancipation Park continues to serve its neighborhood today. It stands as a monument to the pride and hope that the founding members of the Colored People’s Festival and Emancipation Park Association felt as they stood with their backs to slavery and their faces turned to the future.